Who better to advertise a tablet aimed at kids than kids themselves? A lot of people still don’t know that Nabi2 (made by Fuhu Inc.) is the leading tablet made especially for kids, but this cute-as-a-button spot, which broke this week, hopes to spread the word. A pre-teen rapper named Lil P-Nut does the singing but does not appear in the video. Instead, a dance group called the Art of Teknique lip-synchs to his voice. 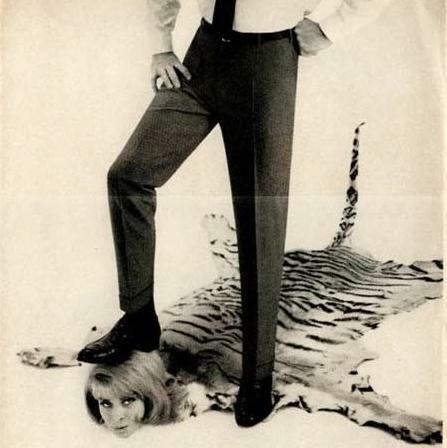 Ad agency mOcean in Los Angeles created the campaign. The 4A’s last week completed the 39th year of its MAIP (Multicultural Advertising Intern Program) activities for 2012 with a “Face of Talent” luncheon that honored the 103 young people who completed summer internships this year. Held at the Edison Hotel in midtown Manhattan, the “Face of Talent” also consisted of a day-long summit in which MAIP participants and agency executives got to mix and mingle. For the interns, it was a chance to learn about job opportunities while the agencies got to size up potential new talent. 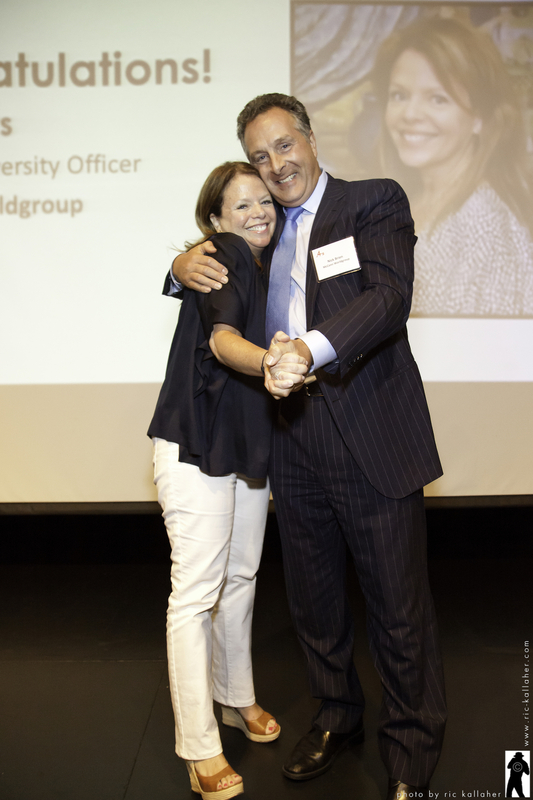 The two keynote speakers were J&J’s Michael Sneed, Vice President of Global Corporate Affairs at Johnson & Johnson, and Susan Credle, Chief Creative Officer at Leo Burnett USA. Sneed told MAIPers that the career world they’re entering is quite different from the one he entered as a J&J intern in 1981. “When I was your age, what I wanted to do more than anything else,” he said. “Was to have an impact.” Through its various philanthropic efforts, J&J has enabled Sneed to have an impact, he said. Credle showed some of her iconic creative work, including a commercial for M&M’s featuring the candy “characters,” as well as spots for Pizza Hut, McDonald’s, P&G and Kellogg’s. “The great equalizer [in an agency] is the work,” she said while recounting the trajectory of her career. She began as a fill-in receptionist at BBDO in the 1980’s and rose through the creative ranks to become EVP, Executive Creative Director by 2009. The 4A’s also awarded several awards to agencies and individuals, notably Sallie Mars, SVP, Chief Diversity Officer of McCann Worldgroup, who was this year’s Pantheon Award recipient. Two MAIP internswere awarded the ANA Multicultural Excellence Scholarship, which may be used to finance undergraduate study at any accredited college or university in the United States. The $2,500 scholarships, which are funded with proceeds from the Association of National Advertisers’ (ANA) Multicultural Excellence Awards, are granted on the basis of demonstrated academic ability and community involvement. This award was established to recognize the MAIP intern who best exemplifies the passion for advertising, leadership, poise and compassion exhibited by the award’s namesake, Clarence Leroy Holte, who joined BBDO is 1952 and became one of the first persons of color to hold a management position on Madison Avenue. The One Club MAIP “Creative Intern of the Year” Award was inspired by a 2011 MAIP creative intern whose was determined to overcome obstacles to achieve creative excellence. Established to recognize an agency or individual who has made significant contributions to the Multicultural Advertising Intern Program and its alumni. Strong writing skills, strategic communications acumen, and being a good listener are some of the basic skills needed to be an effective and successful PR practitioner, according to our own Sam DiGennaro, CEO and founder of DiGennaro Communications. DiGennaro offered her thoughts during a panel session, “Tomorrow’s PR Professional: How Agile Will You Have to Be” at the 4A’s PR conference held in New York April 26-27. She and fellows panelists, Barri Rafferty of Ketchum, Judith Harrison of Golin Harris and TR Straub of Heyman Associates agreed that storytelling skills, especially in multimedia, are increasingly in demand. Straub, a recruiter specializing in placing internal communications specialists, said he looks for candidates with a strong business sense—those who understand how their actions drive the bottom line of the companies they work for. PR Week editor Steve Barrett was the moderator and asked the panelists what business issue keeps them up at night. DiGennaro said she wants her employees to feel just as important and respected as every client on the agency roster. The First Amendment has been getting a workout in the era of social media. Politicians, athletes, celebrities, students, employers, prospective employers, educators, and law enforcement have all gotten caught up in the debate about what is considered free and protected speech on Facebook, Twitter and other online channels. As new channels continue to emerge and current ones continue to evolve, the courts will continue to wrestle with these definitions and debates. 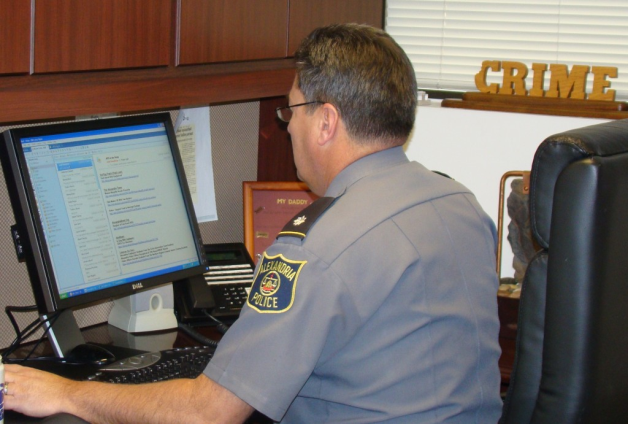 Some argue that members of the military, law enforcement and public-sector employees need to be especially careful with their social-media postings, even if they post images and messages during their free time. One PR professional who specializes in advising law-enforcement organizations is quoted in this article as saying officers should abandon or otherwise not even register for any social-media accounts. According to the article, one police officer posted a photo to Facebook while off-duty that showed teenagers and a bullet-ridden T-shirt of President Obama. Because social media often helps police in their work with communities, they should not abandon it. However, the IACP should better define guidelines for acceptable behavior, and departments across the country should institute training about its use both on- and off-duty. Should police officers and others working in the public sector have the same rights to express themselves in social media? Should they disable their accounts or not register at all? Should their posts adhere to stricter standards than that of the general public? We may never get to a clear answer. But one thing’s for sure. The debate will last a long time. This is a tricky one for 20thCentury Fox. 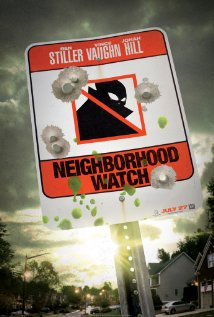 The studio has a big-budget summer movie on its hands that bears the unfortunate title, Neighborhood Watch. The teaser for this film couldn’t have come at a worse time. As the world knows, George Zimmerman, a neighborhood watch captain in Sanford, Fla., fatally shot Trayvon Martin on Feb. 26. The killing has reignited a national dialogue about race and spurred angry protests.mer movie on its hands that bears the unfortunate title, Neighborhood Watch. Neighborhood Watch the film—starring Ben Stiller, Vince Vaughn and Jonah Hill—is about residents of a suburban community who are determined to keep the place safe from aliens—not the undocumented kind, the ones from outer space. Although Neighborhood Watch is billed as a comedy, right now nobody is laughing, least of all the filmmakers and the studio, which released a teaser movie trailer in late February that’s almost as unfortunate as the title. According to reports, the 20th Century Fox has pulled back on all of its advance publicity and is wondering what to do with a film that cost $50 million to make and is budgeted for millions more in marketing. Delay the release? Change the name? First, 20th Century Fox should pull that trailer and re-cut it to make it slapstick funny and obviously about the threat of space invaders. Second, it should keep the film on schedule but change the title and any collateral publicity materials that hint of vigilantism. Third, determine whether or not to delay the film’s release or change the marketing strategy further based on reactions from multi-ethnic test audiences. There’s no telling how the events of the Martin case will unfold, but more information will certainly become available in the months to come. Emotions are not likely to subside by July when the film is set for release. Did Tosca Lay an Egg? Somewhere along the way, Easter, the holiest day in the Christian calendar, became a holiday associated with candy. We eat egg-shaped little chocolates wrapped in brightly colored tinfoil, chocolate bunnies wrapped in same, jelly beans and Peeps (blech). One could hardly blame Italian chocolatier Tosca for trying to market itself in a big way as Easter approaches, but its recent execution was a little off. 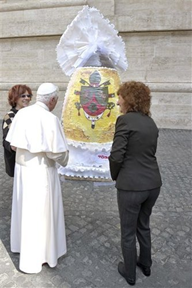 The Pope very graciously donated the egg to a local juvenile detention center, and we hope somebody posts pictures soon of what they do with it. As a PR stunt, though, wouldn’t it have made more sense for Tosca to donate the 550-pounder to a local Italian city and carve out pieces in the main square to give away on Easter Sunday? The company could have also videotaped the proceedings for distribution to international news outlets as a quirky story in the same vein that local New York news stations cover the annual “parade” of hats on Fifth Avenue on Easter Sunday. Hey, we just donated a good PR idea to Tosca. Maybe they’ll use it next year. Is My TV Watching Me? In this űber-connected world, technology’s conveniences lull many of us into a state of denial about its dangerous tradeoffs. This story from HD Guru stopped us in our tracks. According to the article, Samsung has yet to respond satisfactorily to the reporter’s queries about data collection and the personal privacy of consumers. 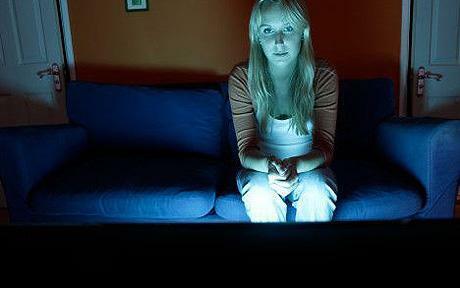 Otherwise, spooked consumers will stay away in droves and the door will swing wide open for competitors to develop and tout the impermeability of their own smart TVs. NewMediaMetrics co-founder Gary Reisman had an unusual start to his moderating duties at the Digital Hollywood Media Summit on March 8 in New York. Just as he introduced the panelists to a packed room concerned with the issues around Advertising Accountability: Metrics and Analytics around Video, Social Media, Broadband and Mobile, an attendee wandered in talking loudly on his mobile phone, completely oblivious to proceedings. After a few moments of stunned silence during which the phone conversation was the only sound in the room, the caller looked around sheepishly, apologized and exited. Hilarity ensued among the panelists followed by what turned out to be a lively, sometimes combative, hour-long debate: Eugene Becker, VP, Analytics, Xaxis; Bob Ivins, VP of Data & Research, Comcast Spotlight; Scott McKinley, EVP Advertising Effectiveness, Nielsen; Debbie Solomon, Managing Director, Business Planning, MindShare; Mark Pascarella, CEO, uberVU; Jeff Plaisted, Senior Director, U.S. Sales and Strategy, Mobile & Skype Advertising, Microsoft; and Dr. Raymond Pettit, VP of Market Research, PRN. Click the video to get Reisman’s take on one of the more compelling insights.